This week on the Driving Law Podcast, I speak with Scott Wonder. He is a fantastic DUI lawyer in Washington state, with particular expertise in the consequences of any administrative or criminal impaired driving incident on pilot licenses. Then, Paul Doroshenko and I discuss more updates to the Drager DrugTest 5000 situation as well as an app that is supposed to detect drug impaired driving. Is this app admissible in court? We dispel some myths that have been in the media lately. Listen on SoundCloud, or subscribe on iTunes, or tune in on PlayerFM. This week's roundup of weird and wacky legal cases starts out grim, but I promise we end on a high note. First, we look at why on earth a person would want to rob themselves. Next, we delve into a woman facing twelve criminal charges for practicing veterinary medicine without a license. 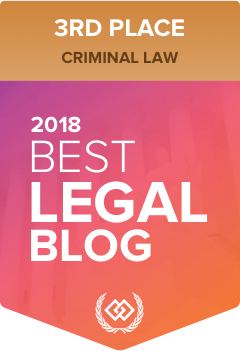 Finally, we examine a funny case about an impaired driving charge on an electric scooter and look at a few other instances in which a person might find themselves on the wrong side of a drunk driving law. It's sure to be interesting, albeit a little sad at the beginning. This week on Weird and Wacky Wednesdays, a hodgepodge of assorted absurdities. Beginning with the case of a woman who foreshadowed her own crimes. Then, a costumed man is kicked off a plane. And he's not even from Florida! Finally, we analyze the case of a very honest man who made a series of very bad decisions that you should never ever repeat. All that and more! (okay, not more) on Weird and Wacky Wednesdays. This week on the Driving Law Podcast, I speak with the famed and outspoken cannabis activist, Dana Larsen. We begin our discussion about cannabis impaired driving laws and the science behind them. Then, we move into the area of Dana's own concerns approaching the issue. But we also have a more wide-ranging discussion about other issues surrounding legalization generally. You can listen to our very interesting discussion on SoundCloud or PlayerFM. And like always, you can subscribe on iTunes so you never miss an episode.